Relax, rejuvenate, and restore are three words Sara’s at the European Village say best. Offering advanced skin care such as facials, microcurrent facial sculpting, microneedling, manicures, pedicures, and waxing, Sara’s is the ultimate one-stop-shop for a pampering experience. Treat yourself to a high quality experience by experienced and licensed aestheticians and cosmetologists. 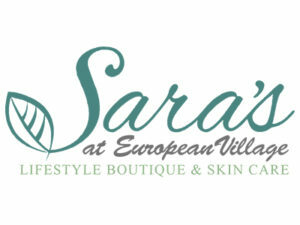 With a warm and inviting space, Sara’s is European Village’s secret weapon for relaxation and rejuvenation.